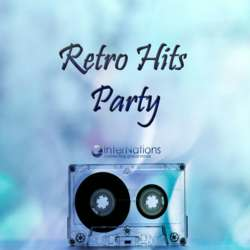 It’s a great pleasure to invite you to our InterNations Kuwait City RETRO HITS PARTY. Come and join us at "Al Hamra Hotel Ballroom” located in Kuwait City which provides you with the utmost hospitality, inviting ambiance and unique decor. Let the music move you to popular hits from the past and present with different genres like Latin, Reggaeton, RnB and more. Come mix, mingle and dance the night away where you can meet new people and make new friends. The Ambassadors will be happy to introduce you to other members, so don’t worry if you are new or coming alone. *and only REGISTERED attendees will get a chance to win prizes from the raffle draw. *You can bring your friends but they must register online with InterNations and sign up on the event wall before attending. *Check-in desk will close at 21:00!